The engagement season is finally here, it’s the time of love isn’t it? It is estimated that most people get engaged during the Christmas period than on Valentine ’s Day and if you are planning on proposing to your partner this season, then you definitely need a befitting diamond ring to mark the occasion. But for some people spending money on an engagement ring is not always a welcome thought but it doesn’t have to be this way. Even with a small budget, it is possible to get a great diamond ring at a good price. Many diamond ring designers in the market tend to see more sales during the festive season and while some might argue that it could be a guy buying a Christmas gift for his partner, more often than not that gift is accompanied by a proposal. In this post I will focus on two things. To start with, it will be tips on how to save lots of money buying diamond rings shopping at Galeries du Diamant shop in Paris and most importantly, buying the right diamond ring. Most men often assume that they know everything about their women but it turns out that they couldn’t be more wrong. Many diamond ring designers agree that a lot of men make very basic mistakes when purchasing an engagement ring but the worst thing is that there isn’t any information out there that could reverse the trend. So for years and years, many men continue to repeat the same mistakes. The best way to buy a good diamond ring is to know what you looking for. This will often involve understanding your partner’s preferences, her ring size, and what she likes as far as diamonds or diamond jewelry goes. When you know exactly what you are looking for, it’s easier to find it online. In order to save good money on the diamond ring price, the first thing you need is to know the various factors that are responsible for the price variations. The 4Cs are the biggest determinant of diamond ring price and here bellow I will show how they may affect the cost of a diamond engagement ring. The reason why I have started with the cut is simply because it plays a crucial role in determining the cost. In most cases, a well cut diamond sparkles and is quite beautiful. But most importantly, a fine cut goes a long way in hiding other subtle flaws in the diamond. In light of this, if you feel you are on a tight budget you should focus on getting the finest cut for your money. The cut is often ranked as excellent, very good, good, fair, or just poor. On average, an excellent cut 1 carat diamond of good quality at the GD Paris Flagship store will range between 7,000 and 8,000 Euros. A good cut one carat diamond of same quality is often cheaper and would normally range between 6,000 and 7,000 Euros per carat. Most of the time, the color of a diamond is measured with a range of between D to Z. This is simply a scale where D is fully colorless. This of course is the best diamond you can get, it’s also the rarest and most expensive. But one thing you need to know is that telling the color difference from the ordinary eye is quite problematic especially for the range of D to G. In fact, an ordinary person wouldn’t know the color difference between a diamond ranked D and the one ranked G. This could provide a good opportunity for you to save by buying at the right diamond ring price. On average, an excellent cut 1 carat diamond rated D of great purity will cost somewhere between 10,000 and 15,000 Euros at the GD Paris Flagship store. For an G-colored diamond, assuming it’s finely cut, it would cost between 4,500 and 6,500 per carat. Clearly you can see the price difference between the D and G colored diamonds whose colors wouldn’t be that different from an ordinary eye. The clarity is simply a measure of the blemishes and inclusions a diamond has. The measure of clarity is often done using four indicators, there is the flawless one (FL) which is normally the best and the rarest (also known as the internally Flawless diamonds or IF), very very slightly included, very slightly included and the eye visible inclusion. If you want to get the best diamond ring price, try and focus on the middle range of clarity. On average, a 1 carat slightly included diamond of fine cut and D color would cost in the range of 6,000 to 7,500 Euros. On the other hand, an Internally Flawless diamond of the same fine cut and D color will cost between 10,000 and 15,000 Euros. The flexibility in saving money on the diamond ring price is also there when it comes to carats. I always find it easier to actually get a fine cut diamond even if the carats are not that much. As a rule of thumb, going below 1 carat would be an ideal start to save big. For example, the average cost of 1 carat of a G color, fine cut diamond of very slightly included clarity at the GD Paris Flagship store would be between 5,000 to 6,500 Euros. The same 0.90 carat diamond would cost a range of between 3,500 and 4,500 Euros. The approach of using the 4Cs as a means of saving money on your diamond ring price is indeed very creative. Of course there are other factors you can consider and especially the ring metal. If you decide to go for platinum, it will cost you relatively more compared to gold. Besides, high quality white gold metal offers the same aesthetic appeal like platinum and it’s relatively cheaper. All these factors will in some way determine the overall cost of your ring and as such, it is important to always consider each and every one of them before you buy an engagement ring. After all, just because you are on a budget does not mean you can’t buy an elegant high quality ring. 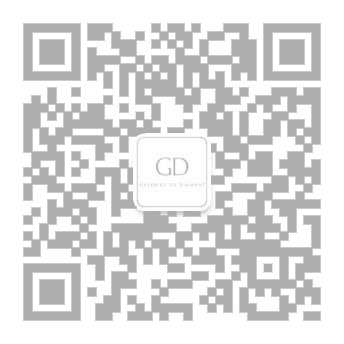 At GD Paris, your needs are taken care off. Visit the store at the heart of Paris and get unique diamonds at great costs.